Assos has really stepped up their game in the past several years. When I first started cycling about 15 years ago, Assos had a well deserved reputation of making the best shorts on the market, but they let other vendors catch up and deliver better value. After getting a couple mediocre products - particularly for the money - I gave up and went elsewhere. Over the last couple of years, I've given them another try, and this short is an example of how far they've come, delivery an excellent product at a good value. Im 6 tall and 172lbs, the Large fits perfect. Most comfortable bibs ever! 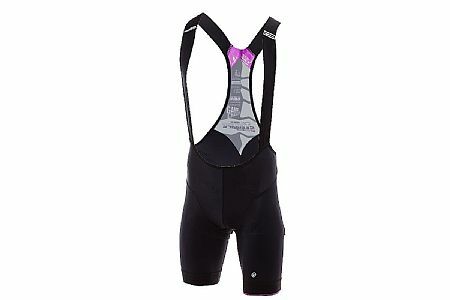 I have 4 Assos bibs and shorts, wash them properly and they will last for years. I have been a devoted fan of Assos bib shorts for about 5 years. Once I tried my first pair, I was amazed at how comfortable they were and since then I have continued buying Assos. I cant say enough about them. Treat them with care when washing (gentle cycle in a delicates garment bag and hang dry), and they will last you for many rides to come. Worth every penny. The difference between this and other bib shorts is that the padding is not fully attached to the shorts, so it moves with your body, cutting down on rubbing, It works!